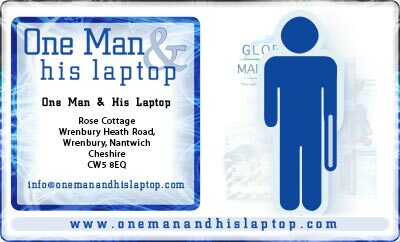 The double sided business card for One Man & His Laptop. We were particularly happy with how this design turned out. The logo formed the back bone of the design, but we took the graphical patterns used on the website, and compacted them to form the border for the front of the card, and the address box out on the back. 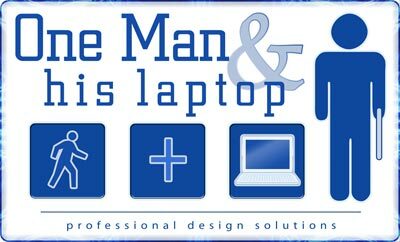 It's a nice clean design, which suited the image of One Man & His Laptop to his tee.